"Finally I can create and save my practice routines. I no longer have to switch everything manually and count bars in my head. Now I can just focus on practicing! Game changer app to practice with!" James Payne was born on August the 8th 1988 in Milan and has gained distinction for his techniques which draw from his rich and varied musical background. In 2011 he started a Youtube channel called The DrumBrother which was later renamed The DrumHouse for copyrights reasons. With The DrumHouse he shoots videos with the best musicians from all over the world including Steve Gadd, Thomas Lang, Derek Roddy, Marco Minnemann, Joey Jordison, Peter Erskine and many others. In 2014 he released his first instructional DVD “The Secrets of Extreme Metal Drumming” that sold out in less than 1 month. In 2015 he moved to Los Angeles and released his instructional website jamespaynedrums.com, collaborating with huge magazines such as DRUM! Magazine, Drum Talk TV, and Sickdrummer. James is now a full time touring drummer and one of the biggest names in metal drumming. 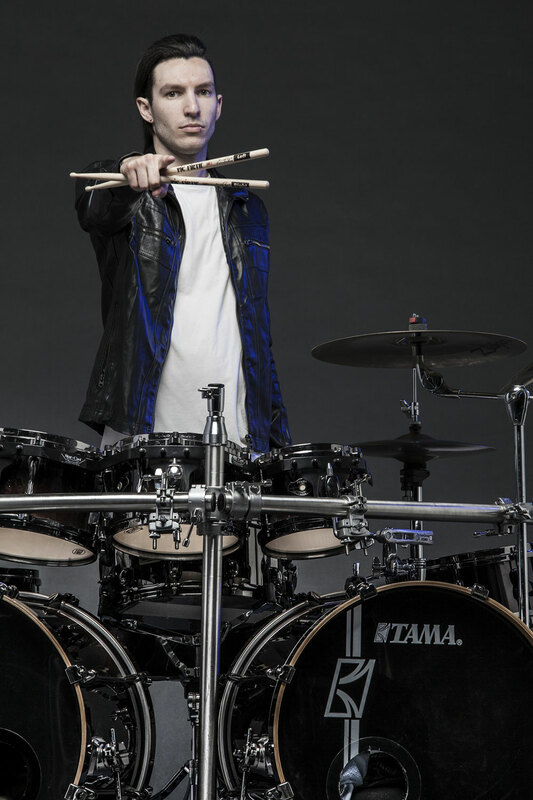 He is endorsed by industry giants Tama drums, Vic Firth, Zildjian and Remo. I use PolyNome to create playlists for my practice routines. I like that it’s very fast to create playlists and set different looping options. Once they’re set, I can just focus and concentrate on my practicing.